Lightweight and reduced to the essentials. 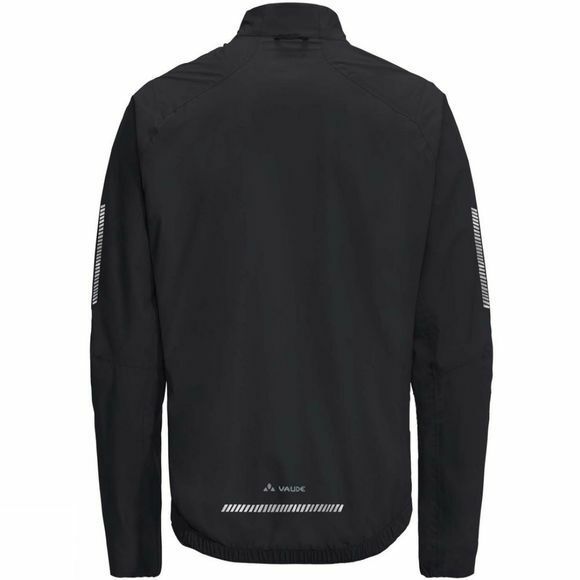 This sporty rain jacket for performance-oriented biking combines lightness with technical innovation and fits into your jersey pocket on any tour. The lightweight 2.5-layer jacket with a recycled Ceplex Green membrane made of S-Cafe and taped seams is extremely breathable, windproof and waterproof. 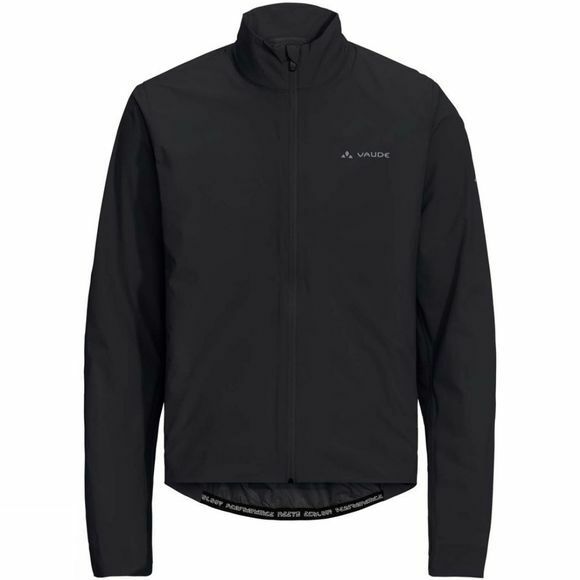 The print on the jacket lining makes sure you always feel dry and it keeps the jacket from clinging to your skin, especially during high-sweat endeavors. Reflective elements are another great jacket feature. The material, which is certified in accordance with the strict bluesign System environmental standard, is pleasantly lightweight and offers highest functionality. The VAUDE Green Shape label stands for environmentally friendly, functional products made from sustainable materials.